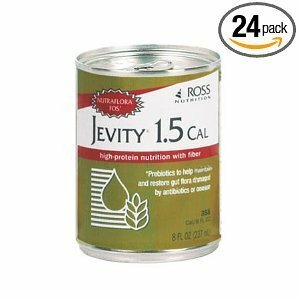 JEVITY 1.5 CAL is a calorically dense formula with a unique fiber blend that provides Complete, Balanced NutritionÃ'Â®. For tube feeding. For supplemental or sole-source nutrition. May be used for oral feeding of patients with altered taste perception. Use under medical supervision. If you have any questions about this product by Abbott, contact us by completing and submitting the form below. If you are looking for a specif part number, please include it with your message.